My last post generated a lot of great discussion by friends and peers who work in bank IT. The overwhelming tone of the conversations was, “If I move our bank to hosted infrastructure, am I eliminating my own job?” I couldn’t respond “no” fast enough. True cloud providers like Amazon Web Services (AWS) will provide lots of cost savings and reduce the burden on IT, but everywhere we have seen financial institutions roll out cloud services, internal IT groups have grown and prospered. Less of the IT budget goes to hardware and network infrastructure and more goes to strategically improving IT and InfoSec. Instead of spending your time replacing hard drives, testing controllers and upgrading RAM, those who embrace infrastructure as a service (IaaS) find themselves spending more time critically evaluating cloud service offerings. The reason for the shift is when you pivot to IaaS you start making better decisions and reaping the benefit of purpose built services. So instead of worrying about whether or not the backup the SQL database happened before you upgrade that software, you get to spend your time determining how many Read Replicas you need of your primary application databases. “What’s a Read Replica?” you say. Exactly. So if you’re a bank IT manager or CTO or CEO you might not care what a Read Replica is. What you probably care about is the risk and scalability of your bank’s IT. When you embrace cloud computing in a tightly secured manner, you significantly improve the scalability, durability and availability of your key line of business applications. In this ever-evolving bank regulatory world, odds are your bank will need to both increase the usage of existing software services and add new services every year. 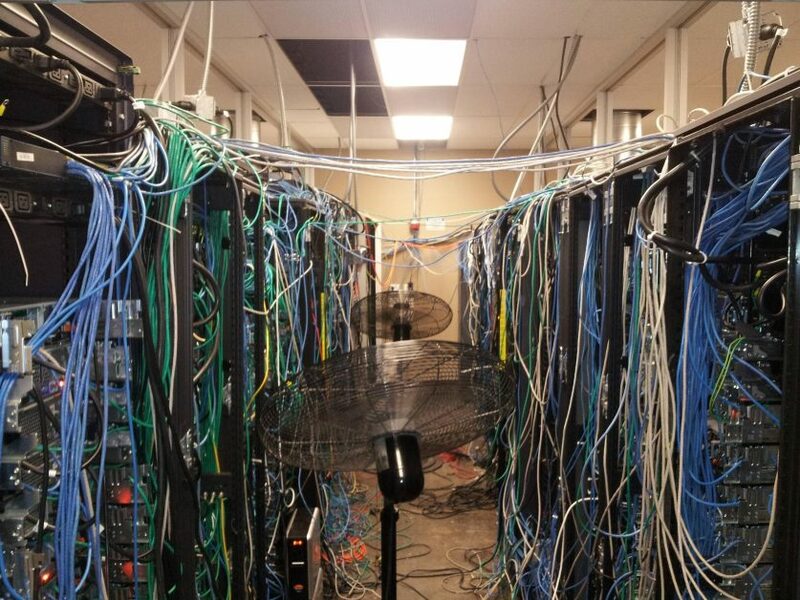 When those projects come with capital expenditures for hardware and infrastructure, you start making bad business decisions because of the need for more hardware, a new facility or an overhaul of your existing IT infrastructure. One bank even offset their new AWS service completely with savings on cooling, powering and housing their old servers. If you are one of those bankers who was concerned with job security or having to fire staff when infrastructure moves off-site, just remember this isn’t the first new IT trend in the banking world. First it was an electronic ledger, then terminals, then ATMs, then networked computers, then the internet, then mobile access and now it’s cloud services. Each shift requires an employee of the bank to carry the torch and find the right jumping off point, and each time, the pioneers of new IT trends into banking gain a strong strategic advantage and place themselves in better position to stay out in front of the competition.